Outside the doors of the entrance halls, not yet even within sight of those iconic gates, I found that I didn't want to go in. But I'd made a promise to myself - and to the little boy in the photograph - decades before. I'd flown all the way to Krakow in Poland, then took a mini-bus to Oświęcim, in order to be here. I had to go inside. All the faces of those survivors, whom I'd personally met and interviewed, swam through my mind's eye. I owed it to them. I owed it to myself. I was afraid, but I entered Auschwitz anyway. Nearly two decades ago, I made a promise to a photograph on a wall. Now it was time to honor it. The little Roma boy did not survive Auschwitz-Birkenau. Few as young as him did. But in the spring and summer of 1995, he helped keep me researching and writing my dissertation. He was instrumental in pushing this historian to gain her degree. It's not that I was disinterested. Like any student entrenched for months in a single subject, I wanted a break. The pub was calling. Then I'd look at his face, on the picture that I'd photocopied from a book and stuck on the wall, and I'd read another chapter, type another paragraph, make more notes. I'd chosen the Porajmos as my specialist subject. So many know about the Holocaust, insofar as it references the attempted genocide of European Jews. 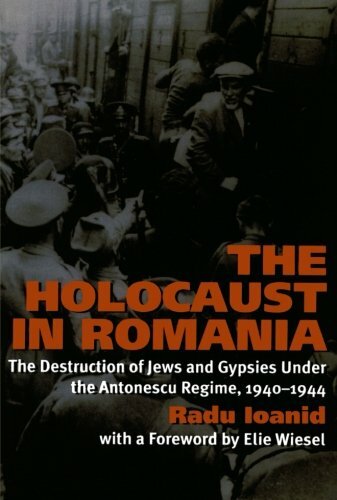 Far fewer realize that 90% of the Roma and gypsy population of Europe was wiped out in the same death camps. This is what I was researching so intently for months on end. There were details so horrific, so utterly overwhelming, that sometimes I broke down. I didn't want to write anymore. I couldn't maintain the historian's objectivity. I couldn't read another anecdote, nor comprehend another statistic. Through real tears, I forced myself to face the little Roma boy. For him, I could stand it. I finished the dissertation. I recall, quite vividly, sitting there on my big chair, with the old typewriter set out on the desk before me. I remember staring at the picture and telling him that one day I'd go to the place where they took him. After endless hours of visiting, in my mind's eye, the terrible streets of Auschwitz-Birkenau, I would go there in actuality. I would pay my respects to the little Roma boy. Then extend that to all his people, and the others too. All who suffered and died during the Porajmos, the Shoah and the Forgotten Holocaust. I would never forget. It took me nearly twenty years, but I went there. NB In attempting to find a decent reproduction of the picture on-line for this article, I've finally found a name and dates. The 'little Roma boy' was Fritz Richter, a German Sinti baby, who was born on June 4th 1940. He was two years and 9 months old, when he entered Auschwitz and received his tattoo (Z3141). He died in the gas chambers on March 23, 1944. Unfortunately I did not know his name five days ago, when I was there. Nevertheless, I remembered him. The concentration camp is 31 miles away from Krakow, so you will need transport to get there. We chose a tour operator. My friend and I booked our Auschwitz-Birkenau tour with Escape2Poland. They were an excellent company. We were picked up promptly, at the agreed time, from our hotel. The driver, Kammy, took everything in his stride, even when confronted with our chaos. When he learned that I suffer from motion sickness, he cleared the front passenger seats for us. En route there, he played a DVD documentary about Auschwitz. It was fascinating, poignant and set the mood precisely. Unfortunately, as we were in the front, the sun kept shining on the screen, so that my friend couldn't see it. Kammy was equal to the moment. As soon as I put my hand up to shield it, he found leaflets to make it more comfortable for me. He even attempted to fasten them in place, so that I didn't have to hold the paper up throughout the journey. When I was hungry, he gave me an apple. As I said, I cannot fault Escape2Poland at all. Kammy went above and beyond the call of duty with us. He thoroughly deserved his tip at the end. All of which I wanted to get in there first, before I made my own recommendation. Do not go with a tour operator on your first trip to Auschwitz-Birkenau. For your first trip to the Auschwitz complex, I thoroughly recommend doing it yourself and taking your time. Krakow, and Auschwitz in particular, have been dubbed a Dark Disneyland. So much of the history is terrible, yet the tourists flock through those doors. Sometimes you have to opt not for what you want to see, but what you need to see. Escape2Poland arranged for an on-site tour guide to take us around. I was slightly nervous about this, as I'm deaf in one ear. I don't have a great track record with hearing tour guides in crowded situations. I'd already had a tour around Krakow, wherein I pretty much wandered off. I needn't have worried about the Auschwitz-Birkenau State Museum (at least not on that score). We were all furnished with headphones. The tour guide was able to speak normally through a tiny microphone, which even I could pick up very clearly. She was undoubtedly knowledgeable. Locations came to life under her skillful telling of the stories. We heard, we stared, we shuddered. In the midst of crowds of people, we knew exactly what we were looking at, as the horrors unfolded. All of which was fine when we were together as one big group. Out on the streets or in the larger rooms, all of us saw as she saw. We heard the stories before the places to which they referred. But then we entered the barracks. Such a large group moved single file. Each of the doors had perspex over them. We peered into rooms arranged pretty much as they were found in 1945. These were shocking and intimate. They really brought home the situations in which these people found themselves. Unfortunately, our long line meant that the tour guide was describing a room three or four ahead, while I was looking into another. Nor was I the end of the queue. At least ten of my party were behind me. They were hearing things well ahead of time. It broke the spell somewhat. But worse had come before. Image: Men slept three to a bunk in these Auschwitz I barracks. 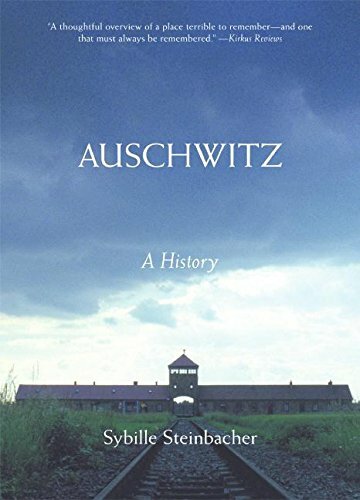 Over 1.1 million people died in this death camp alone. Until 1944, it wasn't even the most deadly of them. Can you imagine that? Last night a friend told me that the human brain cannot meaningfully process such high death tolls. Even the most compassionate of people struggle to grasp the suffering, once you get past say 150 victims. No-one can have any empathy at all, once the kill count rises beyond 300. So when you're confronted with millions, something inside just closes down and there is no comprehension. We do better to pick out one person, one pet, one anecdote, one biography. We seek the rest through the one. I knew this already. 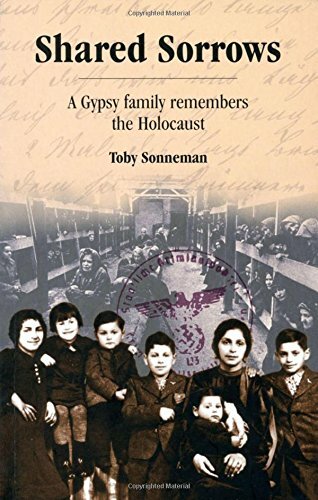 I did not have a long-view of the Roma camp at Auschwitz-Birkenau on my wall, when I was studying the Porajmos. I had Fritz Richter. I did not think of the millions who'd passed before me, under the gate emblazoned with the legend, 'Arbeit Macht Frei'. I thought of that little boy and Eva Mozes Kor. The first time I ever met an Auschwitz survivor, it was Eva Mozes Kor. Her tattoo was the first that I'd seen on a real human being. For a few years, I organized the Holocaust Memorial Day at the university where I worked. She kindly came to deliver a lecture at the inaugural event. I met many other survivors since, but I'm glad that Eva was the first. Her outlook on life - forgiveness, not forgetting - gave me strength through the subsequent events. It carried me through Auschwitz-Birkenau too. For Fritz Richter, I could break my heart. 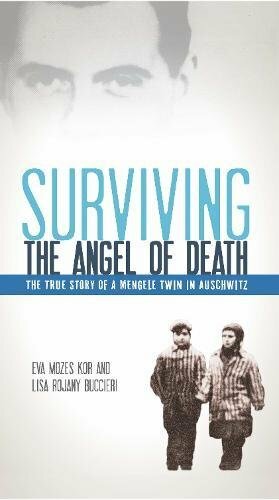 For Eva Mozes Kor, I can register, learn and report back. You take one person with you into those dark places and it all makes sense. You can comprehend the millions. You can understand the terrible rationality and the dreadful efficacy of industrial scale death. The tour guide told us this. Before we went into the building, she warned us to pick one item from each display. To understand that its owner was as real as you and I, with our dreams, hopes and ambitions, and our emotions too. Then to know that we have this item, because that person didn't survive Auschwitz. Unfortunately, the headphones and the length of the queue meant that I couldn't do that. The tour guide was speaking about displays in other rooms, or gathering people outside, while I merely stared at a mass of junk behind a succession of windows. Here, more than anywhere, I recommend that you wander around without a tour. The display cases are all clearly labelled in English and in Polish. You will know what you are looking at behind those windows. Image: Medical aids taken from people at Auschwitz. Image: Suitcases, marked by their owners, collected at Auschwitz. Image: Shoes taken from people at Auschwitz. How Does it Feel to Visit Auschwitz-Birkenau? It takes everyone in very different ways. It's best not to assume any emotion beforehand, then just deal with whatever comes at the time. This is the most asked question since my return. People expect horrors. They expect emotion. They've heard that the birds never sing there, even to this day. Websites endlessly recite the fact that it's the most haunted place on Earth, without once providing the ghost story to go with it. My friends know that I once fled Culloden, because I couldn't stand it. How could I then cope with Auschwitz-Birkenau? I have to admit that the thought crossed my mind too. Particularly when my step faltered in approaching the main gate. I'd already asked around amongst people whom I knew had previously visited Auschwitz. They gave me such a mismatch of emotions that I understood well enough that nothing can prepare you. It's no good assuming that you will feel in any particular fashion. Steven Spielberg once famously gave way to self-loathing, because he 'didn't cry buckets' after his tour. The simple fact is: there's no etiquette of emotion for a place like this. None of which prepared me for how I felt at Auschwitz. I stopped believing in it. I'm not entirely sure when it began, but I recall walking towards the gas chambers knowing it. The tour guide pointed out a huge gallows, where half a dozen people could be simultaneously hanged. "No, they weren't." I thought, dismissing it with a glance. It didn't happen. Suddenly all that research went. 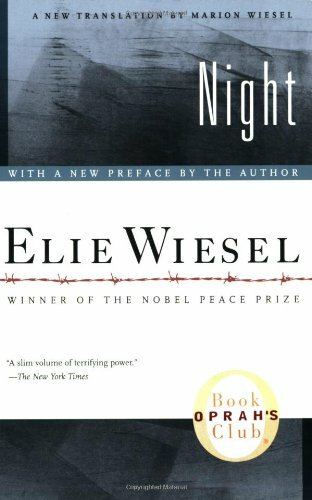 The eye-witness statements, the photographs, the testimonies of the Nuremberg Trials, everything fled my rationality like so much dust. I'd looked Eva Mozes Kor in the eye - and many others after her - yet all that had gone. Beyond consideration. In its place was hatred for the tour guide. The only academia my mind could throw up was the names of revisionists, like David Irving. 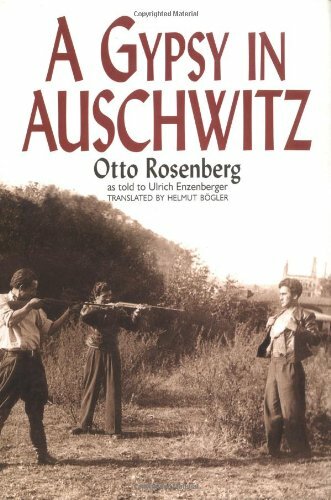 I became utterly determined to read again all that they'd said about the Holocaust being a World War II fiction. It seemed feasible. None of this had happened. Then I turned my head and we were walking alongside the Roma museum. The sight of it hit me like something physical. As a great cerebral rush, my emotions caught up with all I'd studied for my dissertation. Yet not without any coherent facts. "Were the Roma here?" I gushed out. 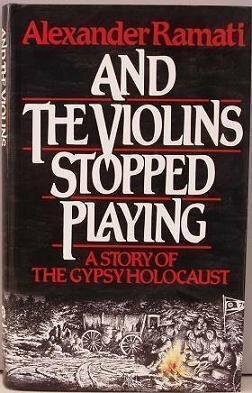 I think I meant in that particular barracks, though I knew damn well that the gypsies were all in Auschwitz II. I wonder, in retrospect, whether the question was more generic. My rational self trying to tear through the sneering denial. The tour guide launched into a sales pitch about Porajmos tours being separate. I'd signed up for the three hour general tour of Auschwitz-Birkenau. The Roma are not covered on that one. There's too much else to fit in. But I could buy another tour from the main office. I understood perfectly. The Roma were not at Auschwitz. Then I went into the gas chamber. Apologies for the shakiness of these pictures. I'd patently gone insane by then. Image: Gas Chamber at Auschwitz I. Image: Crematorium at Auschwitz I. 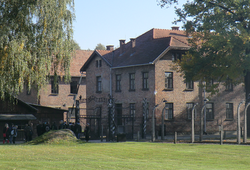 At the entrances to both Auschwitz I and Auschwitz II there are amenities for tourists. Fortunately for my state of mind, there was a fifteen minute break in our tour at this point. We returned our headsets and strolled out of the gate into the car park. This was the moment of grounding oneself, while able to address physical needs. 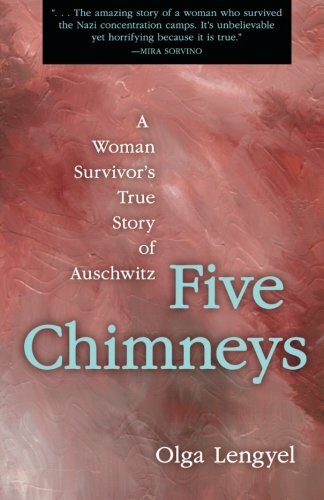 In short, I had a cigarette and told my friend that I no longer believed that anything had happened at Auschwitz. She checked that this was an emotional reaction (it was) and therefore could be assigned to shock (probably), while double-checking that I didn't really believe this in my heart of hearts. I was too busy beating myself up over the denial reaction to really answer that. But with nicotine and a quiet moment came proper reflection. 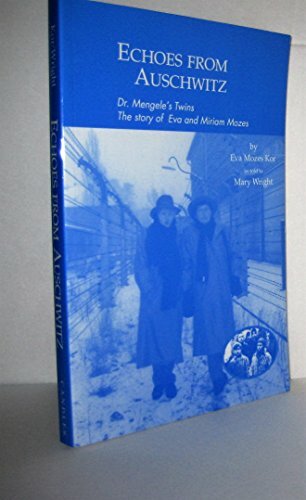 I concentrated on all that Eva Mozes Kor had told and shown me. She was not a book. She had stood right in front of me. A real person with a real story. Something I could grasp to anchor me back into reality. Of course I believed that it had happened. I just can't comprehend that I ever thought, in that place and time, that it hadn't! The entrances to the concentration camps are good places to touch base. There are toilet facilities, shops (books, souvenirs and refreshments), as well as vending machines. This is where you could grab a map for self guided tours, or else book on one of the plethora of guided tours. There's something to suit all needs. Please note that you cannot smoke inside the Auschwitz complex. However, outside the entrance doors, you can have as many as you need to calm down. Unless you're an historian, the scale of the concentration camps will take you by surprise. Prepare for some walking. Auschwitz was not one camp. There were three major areas within the complex, plus over forty sub-camps further away from the town. These were surrounded by 'areas of interest', which meant the houses in which the 7,000 German officers, guards and other personnel lived. In total, we are looking at 15.4 square miles (or 40km, if you prefer). In 1945, as the Soviets approached, the retreating German army did its best to destroy the evidence of mass slaughter. 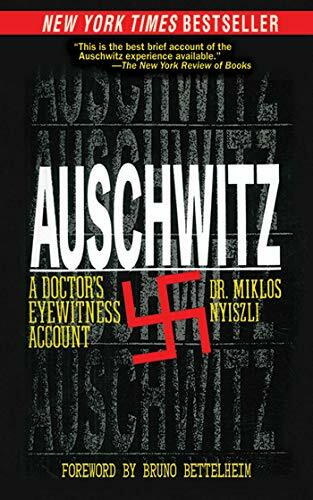 This largely involved removing eye-witnesses (the inmates) and blowing up the gas chambers. The upshot is that most of the Auschwitz complex was obliterated. For today's visitors, you will be visiting only two of the sites: Auschwitz I and Auschwitz II. Nevertheless, that's still a fair amount of walking and standing around listening. My friend and I were fine, but I'd spoken to two older gentlemen from Tipperary the day before. They had found the physical exercise a little more punishing. While there are benches outside the entrance gates, there's nowhere to sit down inside the camps. Please bear this in mind, if you have mobility issues. The fact that this is a site of historical importance also limits its disabled access. Wheelchairs are available from the entrances. You may also collect braille guide-books, but only Polish ones have thus far been produced. 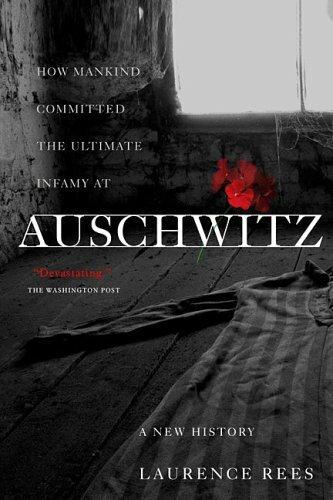 Every film about the Holocaust ever seems to be based upon Auschwitz II. This is where you'll see that infamous gate and iconic barracks. Auschwitz II was built over the top of the village of Birkenau. It's the biggest death camp within the complex. It is here that you will see the wooden barracks so favored by Hollywood. By the time I reached it, I'd come back down to land a little more. The five minute journey in the minibus had given me enough breathing space to sort my head out. I could reach back throughout all of the histories I had read and photographs I had seen. I was ready to see the reality now. None of which prepared me for the sheer size of Auschwitz II. I looked across acres of barbed wire and barracks. I peered down much greater lengths of track than my mind had conjured from the written statistics. 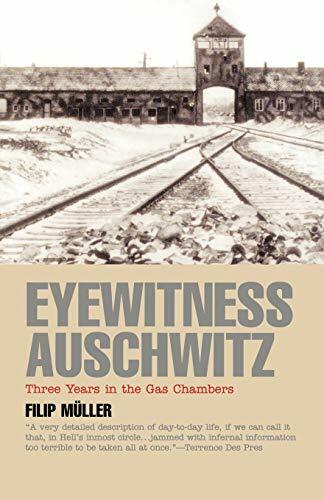 It took a full ten minutes to walk (at a reasonably brisk pace) from the place where the trains stopped, and the selections were made, up to the area where the vast gas chambers were blown sky high. Yet here, in the place where my histories had played out all around me, I could grasp it much better than I had before. It's big enough that you can wander away from the tour guide, yet still keep the group in view to follow the tour. At your choice, you can be utterly alone in a location or in the midst of a crowd. You get to see and reflect, register and understand. Awareness fills every gaze. I walked around Birkenau largely on my own, and I'm glad that I did it. It was what I needed to do. Image: Abandoned cattle train carriage in Auschwitz II. Image: Gas Chamber (Destroyed) at Auschwitz II. Why Should You Visit Auschwitz-Birkenau? It is my profound belief that everyone should take a tour of a concentration camp during their life-time. This is why. No history book can hit you with the full impact of what happened. I thought it could, until I stood there. Then I realized that all the reading had merely been academic. Walking in the footsteps of those who were incarcerated (and killed) there. Seeing where they slept and washed, where they worked and ate. That's reality. But why should we do this to ourselves? It's going to have an emotional impact, whether it happens there or weeks later. In many ways, it's deliberately traumatizing yourself, even with the shield of decades having passed. I think that people should go there because it can, and will, happen again. The only ones in a position to prevent it are those who understand that this isn't history. Not really. The conditions and attitudes which caused mass slaughter still exist in the world today. Could a concentration camp exist without public outcry now? Yes. It does. Just ask the 164 people who have been held without trial, and subject to torture, for twelve years in Guantanamo Bay. It's not a death camp. It's not quite Auschwitz. But that's only a matter of scale and actual killing, all the rest is already in place. Could whole communities became demonized due to their creed, color, culture, sexuality or ability? Yes. And as long as they are, then another genocide could all too easily occur. The Holocaust was not the first use of concentration camps in history, nor was it the last. Genocide is still on-going. We visit Auschwitz to pay our respects to the dead, but also to safeguard the future. The most dangerous thing we could ever do is to forget. Image: The Roma Family Camp at Auschwitz-Birkenau. Image: The remains of the barracks where Eva Mozes Kor was held. Image: A remembrance stone for Fritz Richter (bottom right). These are just some of the thousands of chronicles, histories and biographies told about the world's most infamous death camp. I also saw this camp this year with http://www.krakowdiscovery.com/tour/A...... what can i say, everybody should visit this place becasue this is a fact how many people died from German hands. I also saw this camp this year with http://ww w.krakowdiscovery.com/tour/Auschwitz_... what can i say, everybody should visit this place becasue this is a fact how many people died from German hands. Oh James! You're suffering from what my generation know as the 'one more dead soldier' syndrome, from a line in 'Fuel to the Flame' by Joolz. It's worth looking that one up. It's kept me sinking under for the best part of 20 years. The trick is to understand that you can't save the world on your own. You can only do your bit and that gets added to the bit that I'm doing too, and the next person, and the next. Giving in to despair or fury means that we can no longer function. We either have to implode or else push it all away for fear of becoming subsumed by all the pain and hatred. Hence no longer doing our bit. It's neither fists nor despair which helps those who need us. It's ice cold anger channeled into efficiency, targeted, remote and precise. Then pause every so often to break, because you need that too. There are not many people left in the world who are capable of empathy. I must confess that I have already given up on the human race so there is no point in me visiting Auschwitz to be reminded of anything. I have seen my parent's generation do nothing but go to parties during genocides nearly as large as the holocaust and watched my own generation do the same. I cannot feel anything other than despair and rage. There is nothing in life that I find good. There is a massacre at the other side of the world right now as I type this. I'm seriously considering taking a one way trip to that area and have no intention of returning home alive. I am just finishing off a contract that brought up some of these topics for me. A soon as i is wrapped up I will post a bunch of related articles. Jo - Sorry! I don't know how I missed your comment. Yes, this is the reason that Suite101 has so many articles about the Porajmos by me. It's a subject that has stayed with me for a long time. I'm glad that I've been able to raise awareness. Pastor Paul Schneider is always a good person to keep in mind. Thank you for sharing your experiences here. They are hard places to visit, but we all really should. I visited Buchenwald 10 years ago but have never been able to write about it. My husband has a particular interest in Sobibor. That's a pretty high priority trip at some point. Like you with young Fritz, I had someone in mind at Buchenwald; Pastor Paul Schneider. The birds don't sing at Buchenwald, where the ghosts are thick and babble noisily to those who listen. I suspect Sobibor will be the same. Thank you Jo.